We don’t give our cats treats, unless you count chunks of our chicken dinner or morsels of steak or say, tuna juice….salmon filets. Okay, I’ll start again. We never give our cats those little treats that are filled with corn and flavors of animals. We rescued our cats from the dirty streets of Brooklyn so they can live lives as pampered cat food connoisseurs. But, boy, our guys had treats this weekend. High-quality freeze-dried treats! The only ingredient was the food itself. No grain, no corn, no gluten. Nada. Just meat. Which they LOVED. And MORE amazing–buying the treats benefit Big Cat Rescue in Tampa, Florida. The campaign is called “Little Cats Helping Big Cats.” For every online purchase, support goes to help those big beautiful cats! Check out my 8 little cat rescues enjoying the four kinds of treats. They especially loved the freeze-dried chicken and whole minnows! The treats are made in the USA. Chewing freeze-dried treats are good for cats’ teeth and gums. I felt like a real cat-tamer feeding my guys whole minnows and chunks of meat! 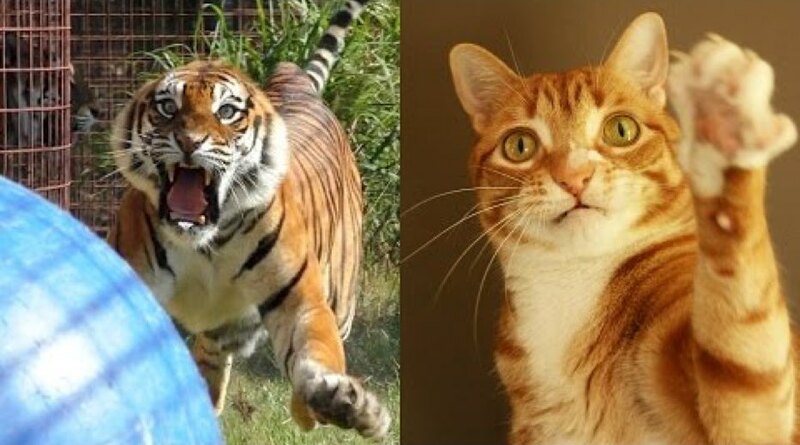 Watch Chris Poole from Cole and Marmalade at Big Cat Rescue talking about this campaign. What kind of treats do you give your cats?